Here we are again, a late Friday night hockey game. I'm really beginning to wonder if we will ever get prime-time ice again. Once upon a time, prime-time ice would be before 9:00pm. Now, it appears that 10:30pm - 11:45pm can be considered acceptable for league games. Honestly, the game time doesn't really bother me. The time we get out for eats is the real problem. As I go through all the late night options in the GVRD, we are beginning to scrape the bottom of the barrel. Sure, there are quite a few good ones left; but some aren't open past midnight. Thus, we had to do the late night Asian thing once again. 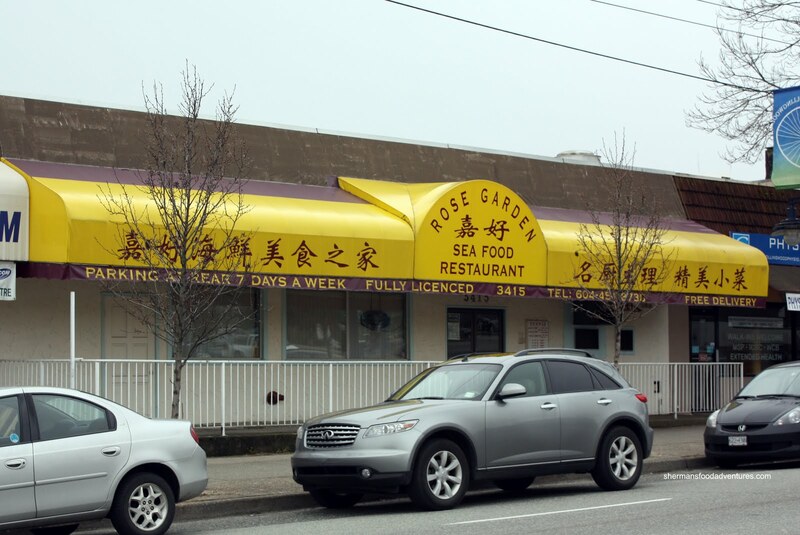 For some reason or another, we have avoided visiting the Rose Garden out on Kingsway, for the longest time. 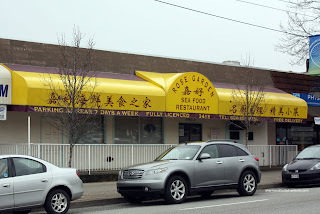 I've been there before and the food is definitely solid. But, they apparently "wronged" Costanza long ago and I boycotted the place in support. Well, time has passed. Originally, we were going for a late night menu of sorts (da lang); but seeing how that Polka King's favourite dish of Shrimp & Eggs wasn't on available on that menu, we went for the regular size. Noticing it was probably a better deal to get the set meals, we went for the dinner for 4, which included soup, rice, crab and dessert. Probably because it was so late, we never got any soup or dessert. But it would've been nice to let us know that! 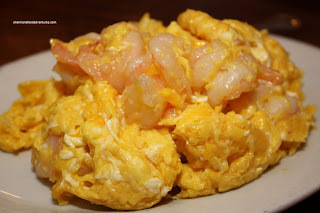 Naturally, we got the Shrimp & Eggs. This was a pretty large portion with prawns rather than shrimp. The egg was perfect being just barely cooked while not being oily. It was fluffy and only modestly seasoned. Hidden within were plump, crunchy cold-water prawns. We really enjoyed it. 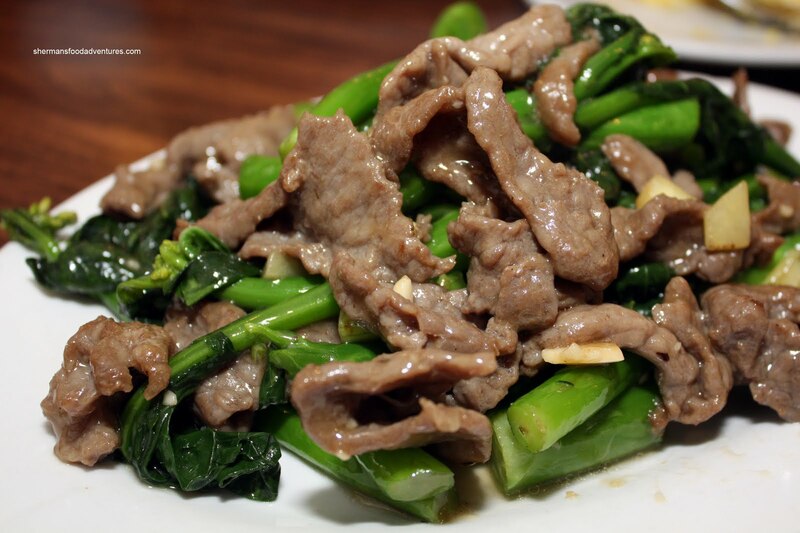 To satisfy our veggie quota, we got the Gai Lan with Beef. Once again, this dish wasn't oily either. The gai lan was cooked perfectly being crisp and the beef was tender without being over-tenderized. This dish was also only moderately seasoned. 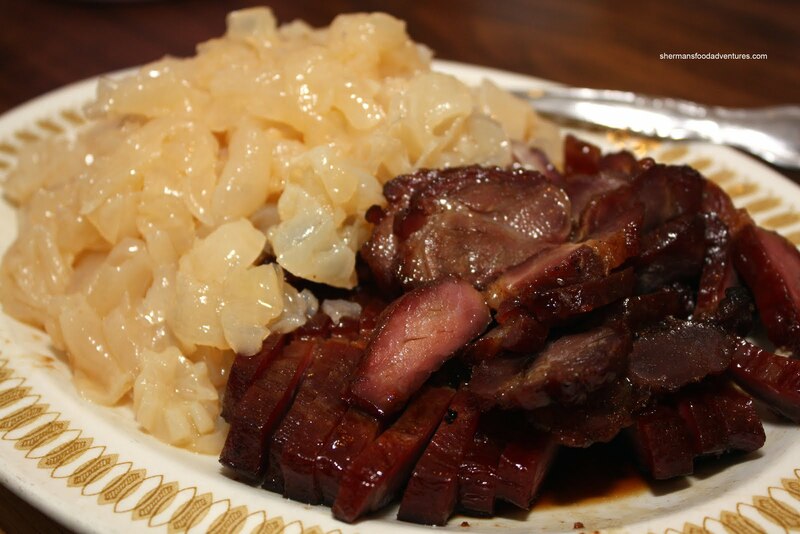 It was interesting that our "appetizer" dish of BBQ Pork & Jellyfish arrived 3rd. No matter, it's late night, we didn't care. The jellyfish was cut into large pieces and had a slightly softer texture than I would've liked. I did like that it wasn't too salty with just enough sesame oil. I wasn't a big fan of the BBQ pork though. Look at it, the dark colour alone is a bit scary. Fortunately it did taste and chew better than it appeared; but the bottom line is that it was not great. The next dish confused us. 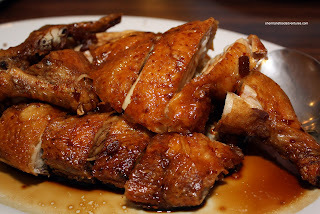 We originally ordered Wine Chicken and ended up with Fried Chicken with Soy Sauce. Not sure if the Chinese name for it even sounds the same. Whatever, it was not too bad really. I thought that the chicken was not overcooked, retaining some juiciness, including the white meat. The soy sauce was slightly sweet and not too powerful. 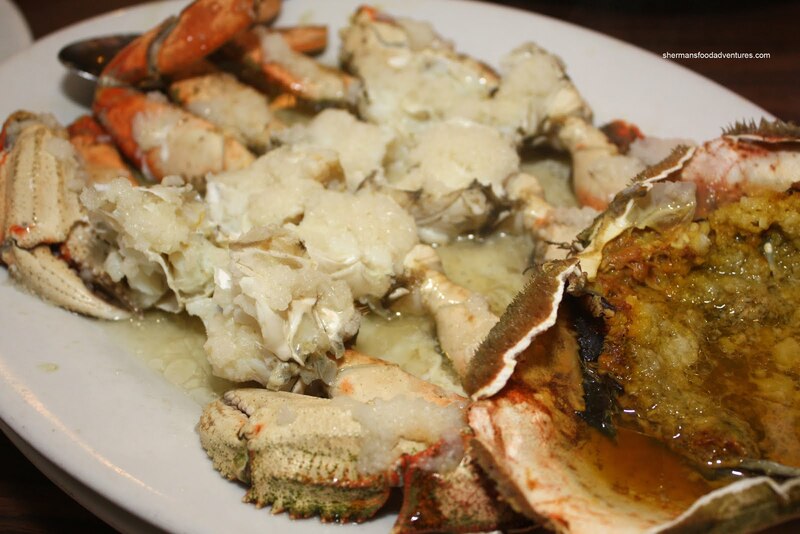 Probably due to its preparation time, the Steamed Crab with Garlic arrived last. Normally, this would be the first or second dish to arrive; but again, this is probably due to the lack of kitchen staff at 1:00am. Nothing amiss with the crab, it was fresh (as in live prior to cooking) and quite meaty. Not bad for a complimentary crab. In general, it was a decent meal, especially at the time we had it. A bit weird to have a full Chinese meal late at night, considering that we weren't that hungry. It wasn't exactly super cheap since we ended up paying $23.00 each since we ordered a dinner for 4 and we only had 3 of us. But even if there were 4 people, it would be over $17.00 each. Yet, portions were good and food was tasty, not much to complain about. shokutsu, I think my stomach has adjusted to my crazy life. However, I'm sure what I'm doing is not healthy!